Remember when Ryu Jun-yeol visited Africa with Park Bo-gum, Ahn Jae-hong, and Go Kyung-pyo? 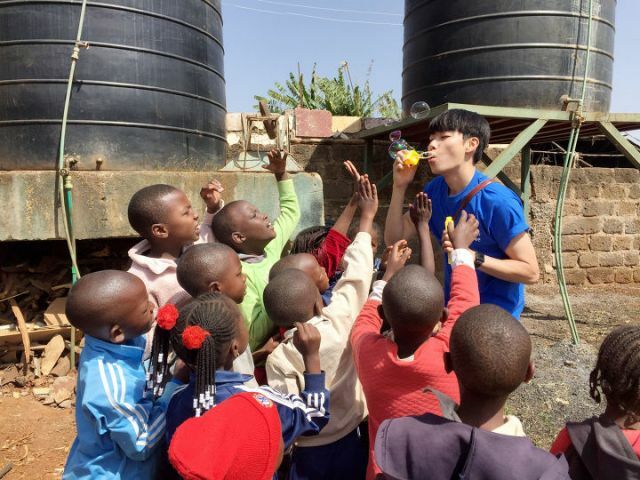 In the variety show "Youth Over Flowers" season 4 aired in the beginning of 2016, these four from "Answer Me 1988" were sent to Africa with limited allowance and resources. 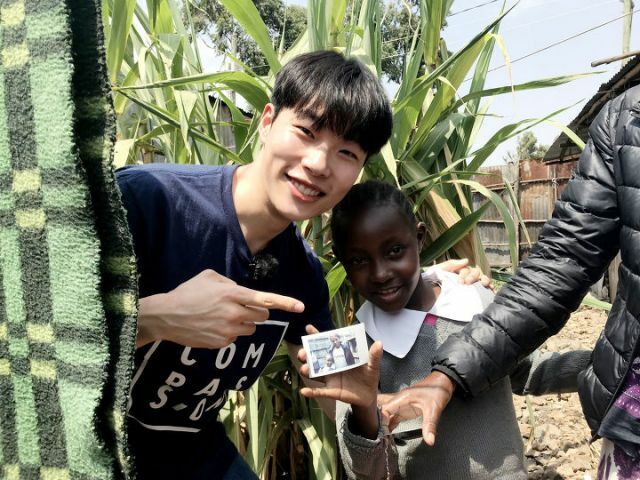 During the two weeks of struggle, joy, and bonding, it seems that actor Ryu Jun-yeol has gained an even bigger interest in the beautiful continent of Africa. Ryu Jun-yeol has been donating to the international humanity organization called Compassion since before his debut. 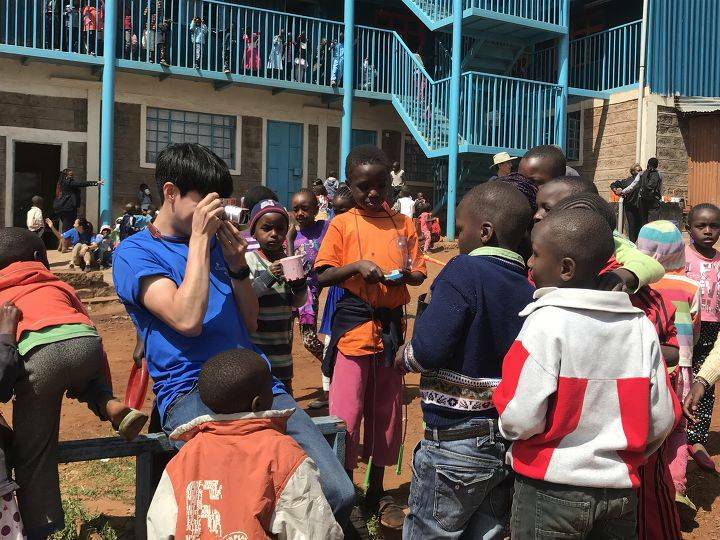 This time, he decided to visit Kenya through the Compassion Vision Trip. 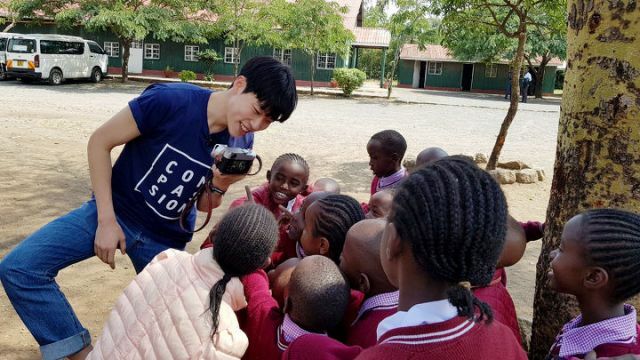 From Incheon Airport to Dubai and to Kenya, he has traveled miles and miles to visit the children he's been supporting. From the very first day, Ryu Jun-yeol approached the children with friendly smiles and took many photos with them. 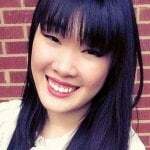 According to an associate who work for Compassion told the news, "Since the Girl Scout kids joined the Scouts not too long ago, they were having a hard time performing the pledge, walks, and such even though they were so excited to do them. That's when Ryu Jun-yeol stepped up and followed the performance with the kids. The kids got so excited and everyone ended up laughing together. He is so good with the children". 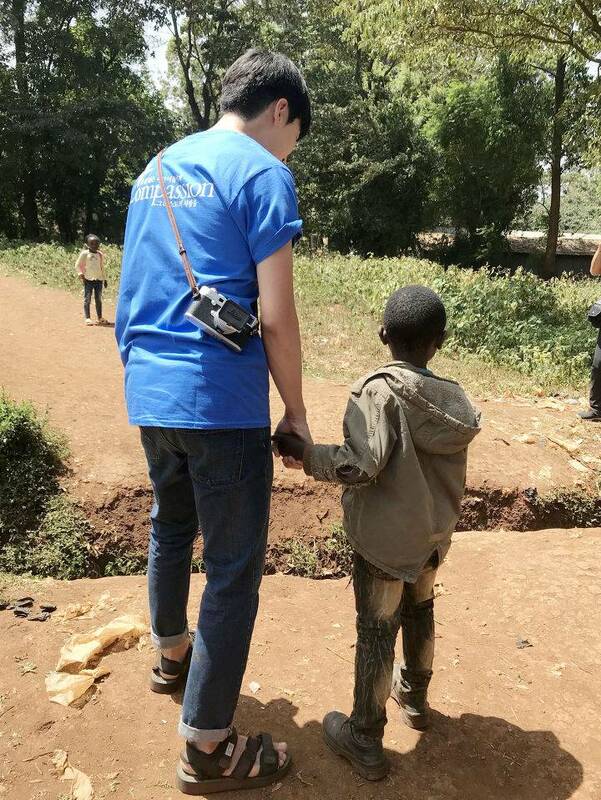 On the second day, Ryu Jun-yeol headed to the Compassion center to visit the toddlers and infants. 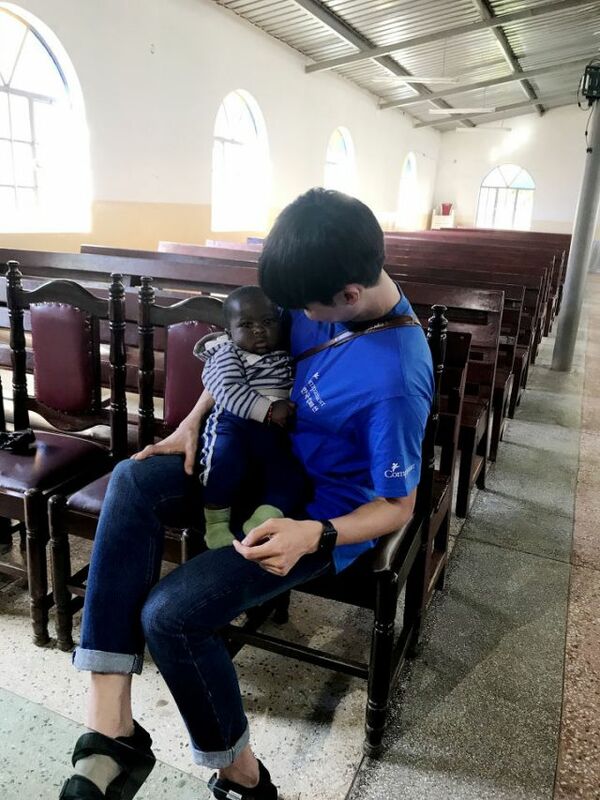 Another associate said, "The baby in the picture is not even 3-months old and when Ryu Jun-yeol held the baby, he was so comfortable and didn't cry once. Everyone was pleasantly surprised and called him nicknames like 'Ryu Jun-yeol bed' and 'Ryu Jun-yeol crib'". Afterward, the actor helped in making the clothes the community sells in order to bring in some income. On the third and fourth days, he visited more children as he dropped by the school. He was so happy to meet all the children and actively engaged in getting to know each of them, asking their names and their dreams. 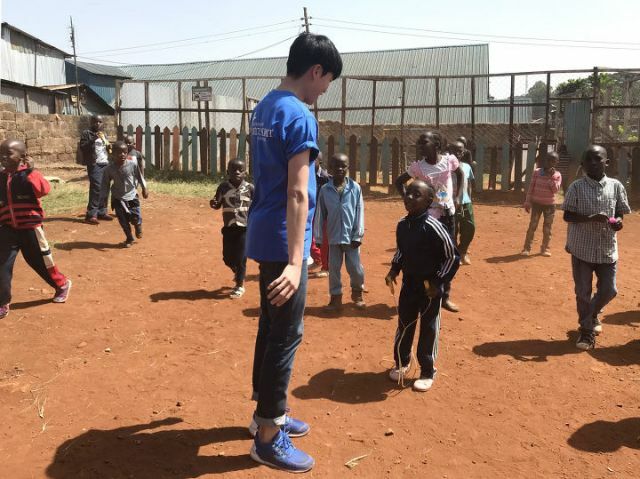 Later on, he got closer to the children as they played many rounds of soccer together. 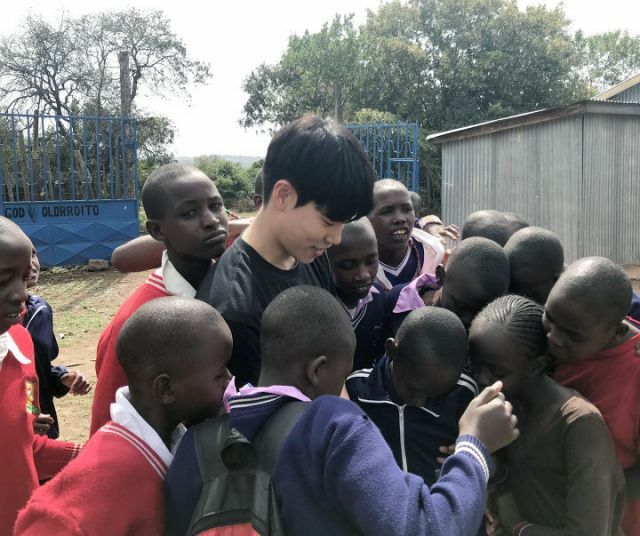 Since his last visit to Africa via "Youth Over Flowers", there's been a great change in him. He was always a kind-hearted young man who was engaged in helping others, but now he is even more engaged in many humanitarian works as he join the Greenpeace organization and participate in environmental movements as well as extending his donations to other organizations. 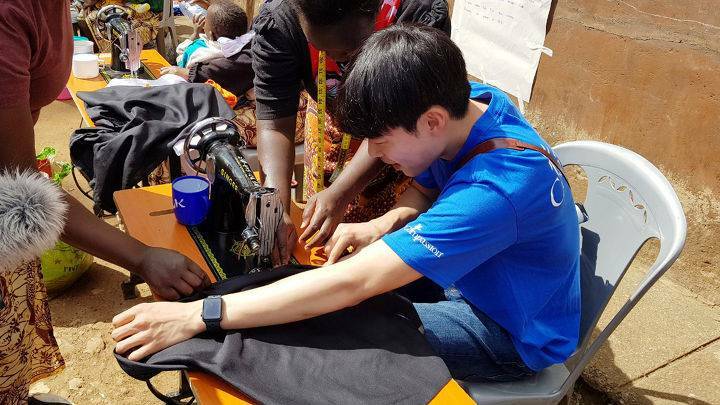 Ryu Jun-yeol is not just a talented actor, he is a star who inspires all around him and strive to bring happiness as he helps the unfortunates. May his heart be always full of such love and that we can take his example. 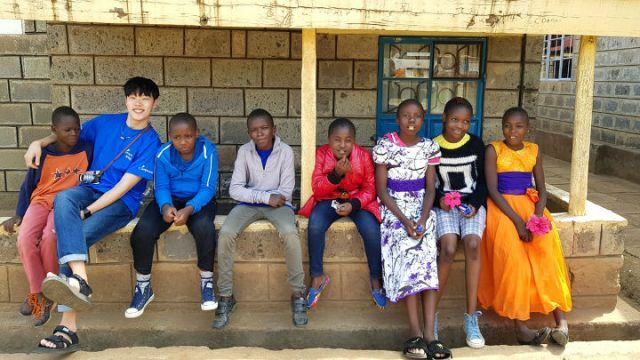 "[Lily's Take] Ryu Jun-yeol Visits Kenya in Africa"
Supporting Actors Shape the Success of Drama "Return"